Daniela Atanassova-Lineva, MD, is dedicated to the health of children and families at Peds 4 Kids in Rego Park, New York. A board-certified pediatrician and a fellow of the Academy of Pediatrics’ section of adolescent medicine, she was named among America’s top pediatricians for 11 years running. Dr. Atanassova-Lineva’s areas of clinical interest span dermatology, integrated and aesthetic medicine, pediatric primary care, adolescent medicine, and emergency medicine as well as asthma, allergic disorders, obesity, and nutrition. As a pediatric specialist, her emphasis remains on prevention for the young, younger, and youngest of patients. Dr. Atanassova-Lineva has practiced pediatric and adolescent medicine for more than 15 years. As a veteran pediatrician, she has seen how parents’ health affects children. Her new focus is extending her practice to encompass treatment for the entire family through integrated and aesthetic medicine. She is certified in aesthetic medicine, dermal filler injections, Botox®, laser treatments with Quanta Alexandrite and Nd:YAG systems, LED phototherapy, and platelet-rich plasma (PRP) therapy for hair loss treatments and skin rejuvenation. Dr. Atanassova-Lineva takes pride in her attention to detail to deliver optimal results. Earning a maximum medical school admittance score, Dr. Atanassova-Lineva won acceptance to Varna Medical University in Bulgaria where she earned her medical degree. She then completed a pediatric residency at Mount Sinai School of Medicine, which is affiliated with Elmhurst Hospital in New York. She remains an assistant in the hospital’s Department of Pediatric Emergency Medicine where she instructs medical students and pediatric residents. She also teaches a mini-clinic at Stony Brook University for students studying to be physician assistants. 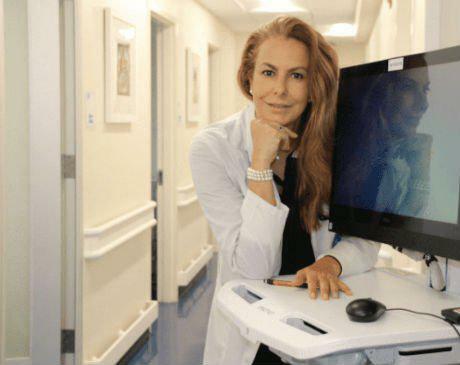 In addition, Dr. Atanassova-Lineva maintains affiliations with the prestigious Long Island Jewish Medical Center, NewYork Presbyterian-Queens, and Mount Sinai Hospital. With diverse interests in medicine, Dr. Atanassova-Lineva has published scholarly articles on the subjects of obesity, nutrition, and sports medicine. Her most recent publication centered on the difficulties in feeding newborns with a cleft lip or cleft palate. Fluent in five languages, Dr. Atanassova-Lineva has delivered numerous presentations at the Eastern European Meetings of Pediatrics. In 2010, the International Pediatric Association honored Dr. Atanassova-Lineva as a leading physician of the world and top pediatrician in Queens, New York. The following year, she was recognized with a Patients’ Choice Award.